Originally as Head Counselors, Iain and Amy have been working at camp since the inception of Camp Twin Creeks in 2001. 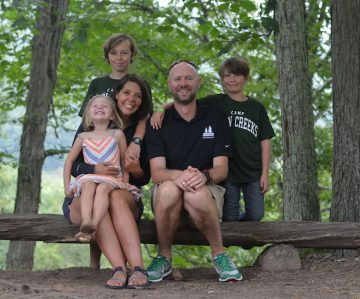 Starting out back then as eager young adults and now maturing into passionate parents and knowledgeable camp professionals, Iain and Amy are present every day at Camp and will be your eyes and ears at Camp Twin Creeks. 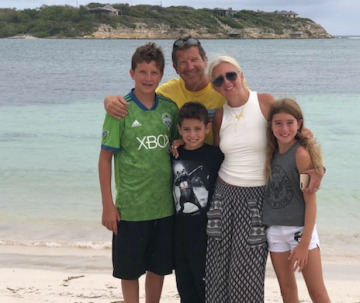 As parents to Harrison (13), Finnley (9), Blakeley (5) and camp dog Chloë, Amy and Iain understand the feeling of entrusting another with your child. They strive to ensure that your child is looked after, supported and guided by our wonderful camp counselors. Even though they cannot be in every cabin or at every activity, the standards they set, the energy they display and the passion they have for summer camp is passed along to every single staff member. Iain works full-time in our main office as Director whilst Amy is a Masters-educated entrepreneur and has been in the education and childcare field for 19 years. Both are available at all times to answer your calls and questions about your child and camp. This leadership team, along with head counselors and administrative staff who have grown up with us over many summers, sets us apart from other camps in the industry. They all offer experience, continuity, knowledge and a level of child care that ensures your child is in safe hands and will truly enjoy their time at Camp Twin Creeks. We aim to meet as many new camp families as possible prior to the summer beginning. Home visits can be arranged at anytime that is convenient and also here at a Calendly page. Iain spends a great deal of time in the DC area meeting new families too. New Parent Information Events also take place in May; check the calendar page here for more information. Our Spring Gathering also offers a great opportunity to meet Iain, Amy and many more of our Camp Twin Creeks staff. We host this event in the metro DC area each year in May. If neither event works, call Iain at the office and set up a time to meet or at least Skype or talk on the phone before the summer. We view the summer and the camp experience as a partnership between parent, child and ourselves. That begins the day you enroll. Gordon has more than 30 years of camping experience. 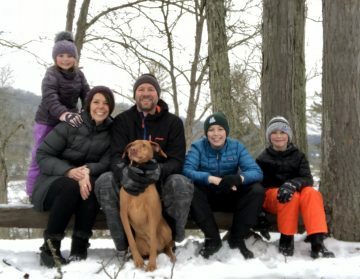 His start in camping began in 1990 as a counselor before becoming Head Counselor and Associate Director of various camps in Pennsylvania and Maine. Gordon felt truly lucky to find his summer home in West Virginia and is committed, as always, to providing a safe and fun environment for campers. Gordon is also the Owner and Director of Breezemont Day Camp in Armonk, NY.